Having been R9 installers for a few years now, we thought we’d explain why we love to supply and install R9 so much. R9 installers are everywhere now it seems. When we got involved at the start few years ago, this was not the case. The product was in its infancy and there was little to no public awareness of the product. In the first year, we were only really installing the product when customers came to us after being scared by the maintenance and price of timber windows. Whereas previously, we were only able to offer these customers a foiled woodgrain uPVC window, we now had this window system that people assumed was wood when they saw it in the showroom. After playing with our Residence 9 sample for a while, customers would assume it was wood and as they had already discarded wood windows, ask where the uPVC foiled windows were. Now we could offer them a window that looked like timber, but without the maintenance or such a price tag. The product is innovative in many ways. With a 100mm deep frame, mechanically joined frame and sash, a completely foiled rebate and glazing that is bonded to the sash, it truly was different to anything else we had seen before. As we are with any new innovation in any industry, we were admittedly a little apprehensive on our first few Residence nine installations. Whilst our R9 installers did complain about the weight of the windows (they are very weighty, especially when they come glazed), none of us could deny that the end result was stunning – customer very much included. What’s more, a few years after these first installations, we have had no product/service related problems, giving us total confidence we now have in the product as R9 Premium installers. The first thing that struck us were the foil colours available. Truly “wood effect”, the most popular colours from the range were and still are Grained White, Corse Lawn, Silvered Oak, English Oak, Cotswold Biscuit and Eclectic Grey. 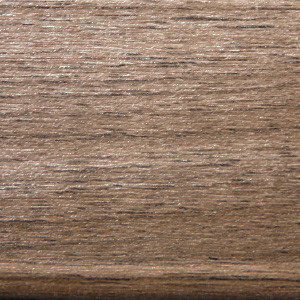 Silvered Oak is probably our favourite colour from the R9 range. Here is a photo of a recently finished project in Thurnham, Kent, for which the customer chose Residence 9 Silvered Oak colour, as well as three matching Residence 9 Solidor doors, which were the first we had installed as R9 installers. This aspect of the Residence 9 window certainly sets it aside from other window systems. All uPVC foiled windows have a “break” of the foil in the part of the window that you can only see when the window is open. The R9 window has been designed in such a way that the woodgrain foil continues throughout the rebate, fully connecting the woodgrain feel of the inside through to the outside of the window. What’s more, the rebate is also completely free of sharp angles; it is all smooth curves from inside to outside. This means no annoying dirt trap and makes Residence 9 a very easy clean window. The image below from one of our showroom R9 samples, demonstrates this feature more clearly. There are a couple of other timber effect windows on the market that boast a mechanically joined outer frame but only as R9 installers can we supply and fit a window that boasts not only a mechanically joined outer frame but also a mechanically joined sash too. The images below from this installation show this feature. We’ve also put a photo in there showing a typically “uPVC” welded join for comparison. Take your pick! Whereas most uPVC windows consist of profile made up of 4 or 5 “chambers”, Residence 9 has, you guessed it, nine chambers, making it an incredibly energy efficient window, keeping you and your home warmer and more efficient. The window is classified as WER A rated. It can achieve a U-Value of 1.2 W/M²K when double glazed and 0.8W/M²K with triple glazing. And these are just some of the reasons we love being R9 installers. To sum it up, check out the stunning Residence 9 video below.